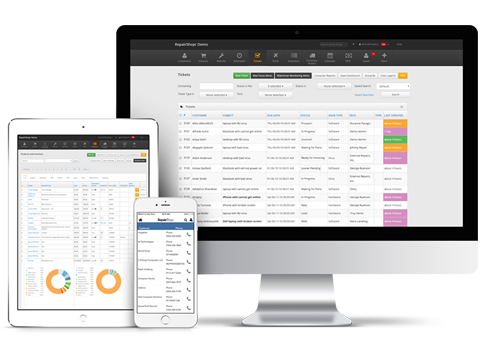 Looking for Franchise POS and CRM software that saves you time and helps you scale? RepairShopr is an all-in-one franchise management system designed to cut costs, streamline operations, and help your Franchise scale with ease. Running a business isn't easy. Running a business with multiple locations is even more challenging. You need an all-in-one franchise management platform that will save you time and help you grow. RepairShopr will help you streamline day-to-day operations, cut costs, and access the real-time reporting you need to scale your franchise business with ease. Understanding Franchisee performance is critical to business success. 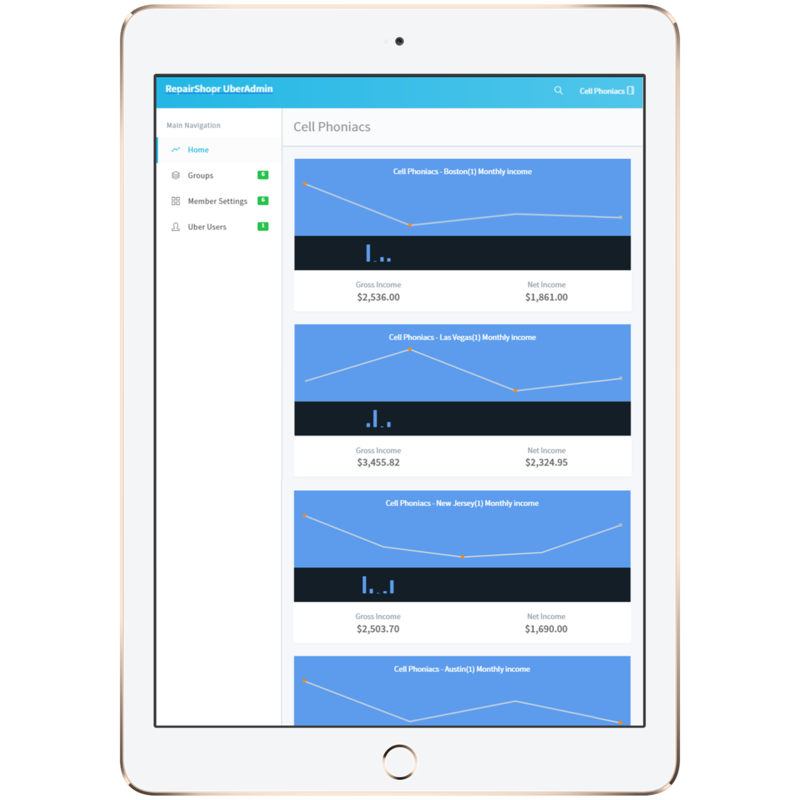 Real-time dashboards plus powerful reporting give you a pulse on how your total business is doing. Powerful inventory, CRM, marketing and reporting tools help you help your Franchisees reduce overhead costs while growing the business. Getting employees to adopt a new system can be a job itself. Franchisees will love our easy-to-use interface and how it helps them grow their own business. Learn about how RepairShopr can help your Franchise business grow. Wifi-powered POS that talks to inventory, accounting and reporting in real-time to save you data entry time. Keep a pulse on how each location is performing with built-in, detailed reports that tell you what's working and where to improve. Give Franchisees the autonomy they want while maintaining control over franchise operations with user-level permissions. Built-in marketing and reporting tools will help you grow same-store sales, while quick-start settings make it easy to open new locations. CRM is just the beginning. Automated updates keep customers in-the-know while built-in SMS and email tools help drive repeat business. With an internet connection and a PC, tablet or smartphone, you have access to everything you need to run a franchise on the go.